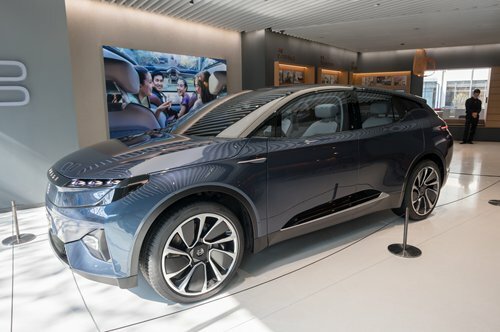 A concept M-Byte car is exhibited at Byton's first showroom in Shanghai, which opened on Sunday. The Chinese electric vehicle maker, established in 2016, is expected to mass produce the M-Byte mode in 2019. China has had a boom of electric vehicles sales in the last few years. The fast growth of the EV industry in China has also motivated India to catch up.